Netflix has been giving some love to rom-coms this year with originals like Alex Strangelove and The Kissing Booth, which came to Netflix earlier in June and May, respectively. More Netflix films from this genre are still to come, including To All the Boys I’ve Loved Before, out Aug. 17, for which a teaser trailer has just dropped. Jenny Han’s YA novel of the same name moves from page to screen in this color-saturated adaptation. The film stars Lana Condor (Alita: Battle Angel, X-Men: Apocalypse) as Lara Jean Song Covey, a high schooler who calls herself invisible and writes love letters to the boys on whom she “has a crush so intense that [she doesn’t] know what else to do.” It’s these five letters that get Laura Jean into some trouble, because even though she says nobody else knows about them, they somehow are all sent to their subjects, as we find out when Peter, played by Noah Centineo (Sierra Burgess Is A Loser, The Fosters), approaches her about his. The bright song “I Like Me Better” by Lauv soundtracks the teaser, giving an energetic push to the “invisible” girl trying to know herself and make herself known as a deeply colored world flashes around her. 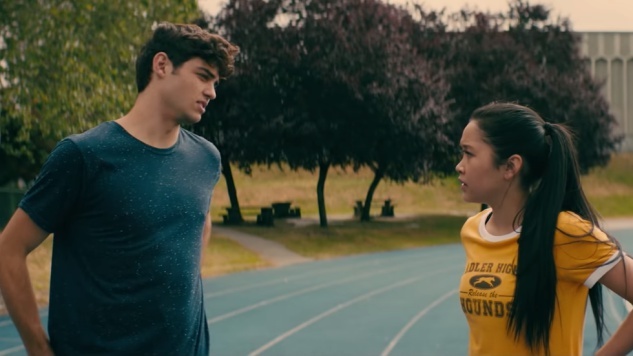 Watch the teaser trailer for To All the Boys I’ve Loved Before below.